Traveling with kids can be tricky, but the bustling city of Toronto is filled with fun family-friendly activities. Check out the picks below for a memorable vacation or day trip that the whole family will enjoy. Over 5,000 animals call the Toronto Zoo home, so chances are good that kids will bump into their favorite animal during a visit. Set on over 700 acres, the Toronto Zoo provides families with more than enough activities to fill an entire day. In addition to hundreds of animal exhibits and over 10 kilometres of walking trails, the Zoo's Discovery Zone offers daily animal shows, Keeper Talks, and a Kids Zoo where children can interact with gentle domesticated animals like alpaca and woodchucks. Families should not miss the family of pandas that also reside at the zoo. "On October 13, 2015, Er Shun, our female panda, gave birth to twin panda cubs," explains PR and Events Associate Amada Chambers. "The male is named Jia Panpan, which mean 'Canadian Hope,' and the female is Jia Yueyue, which means 'Canadian Joy'." The two cubs, which were the first giant panda cubs born in Canada, and the two adult pandas will be at the Toronto Zoo until 2018. Toronto's Gardiner Museum is far from a typical art museum. As Canada's national ceramics museum, the Gardiner features an incredible collection of ceramic objects spanning the entire range of human history. "People are often surprised by the diversity of the collection and how clay can be transformed into so many different objects," says Senior Marketing Manager Rachel Weiner. "The contemporary gallery, which houses some truly beautiful, bizarre, and groundbreaking work, is particularly eye-opening." For families, the museum offers an exceptional range of hands-on activities for kids of all ages. 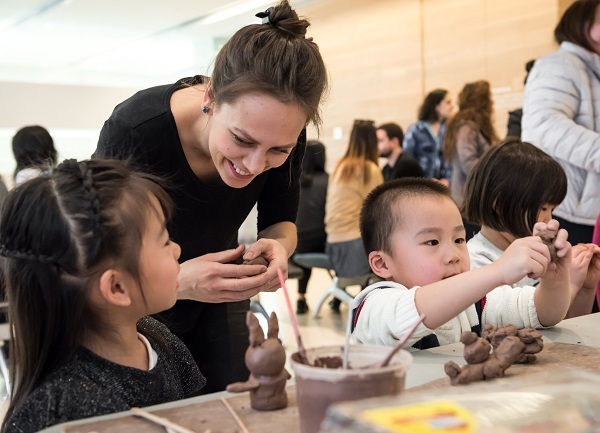 The Gardiner's weekly Family Sundays alternate between clay-making and tile-painting activities, while drop-in clay classes on Wednesday, Fridays, and Sundays afford visitors the opportunity to try hand-building, wheel throwing, and decorating. Kids can also explore the museum on a scavenger hunt, which helps engage young visitors by creating a fun atmosphere. At Ripley's Aquarium of Canada, families can get up close to some of world's most mind-blowing sea creatures. Ripley's is much more than a standard aquarium, offering visitors a uniquely interactive experience that incorporates hands-on activities, technology, and fascinating animals from all over the world. 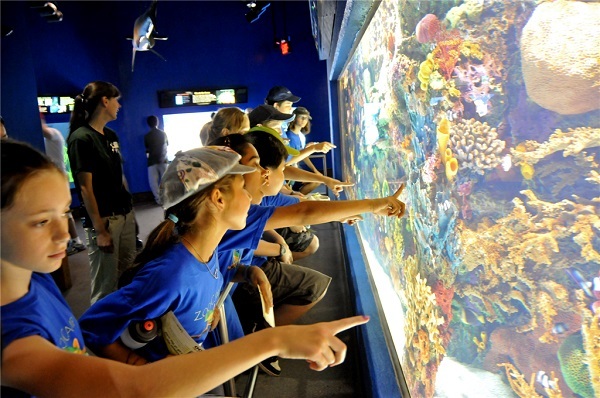 Kids will enjoy getting up close to the animals with Ripley's four touch tanks, unique pop-ups that offer unparalleled views, and the popular Dangerous Lagoon. "Visitors are consistently surprised by our Dangerous Lagoon exhibit," says Marketing and Communications Coordinator Sarah Cameron. "With the longest underwater moving conveyor belt in North America, guests can journey underneath our shark tunnel and immerse themselves in a world of sharks, rays, sawfish, turtles, and more." For kids who love sports, the Hockey Hall of Fame is a perfect spot for an afternoon of family fun. Celebrating the greatest players and moments in Canadian hockey, the Hockey Hall of Fame features a range of innovative and interactive exhibits designed to engage visitors and also houses iconic artifacts and memorabilia, including Gordie Howe's 700th goal puck, Bobby Orr's infamous knee brace, and the real Stanley Cup. For kids, the Hockey Hall of Fame provides plenty of hands-on activities that incorporate impressive technology. 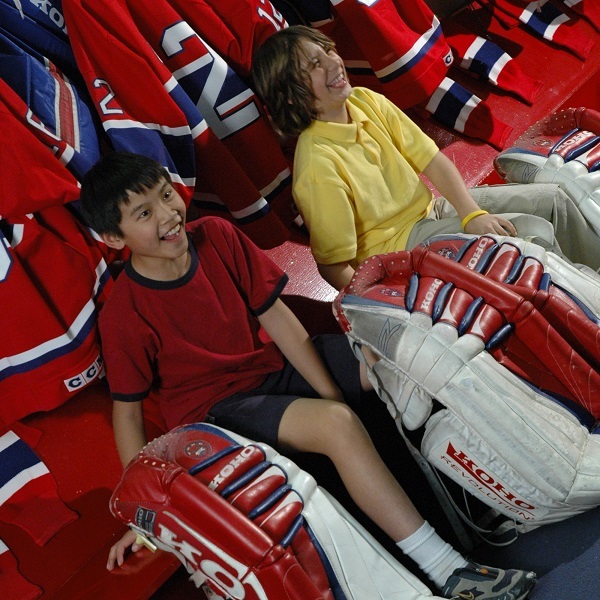 Kids and families can play games, explore the replica of the Montreal Canadiens dressing room, take photos, and view hockey's first 3D film. 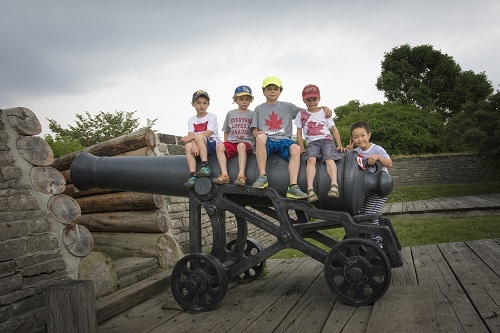 For an educational experience that feels more like an adventure, spend a day at Fort York. Visitors can step inside the fortified walls and be transported back to the early nineteenth century. "Fort York is the birthplace of Toronto and home to Canada's largest collection of original War of 1812 buildings," explains Museum Site Coordinator Richard Haynes. "Most people are surprised that the Fort has so much to tell about the history of the site and Toronto's military past." Fort York offers the chance to experience Toronto's history first-hand with a variety of interactive exhibits, tours, and activities. Families can tour the barracks and fortifications, see demonstrations by volunteer historic cooks, and learn about the Battle of York in 1813 in the relatively new Visitor Centre. One of the site's most popular events is the summer guard in July and August, which includes demonstrations of cannon and musket technology as well as period music.